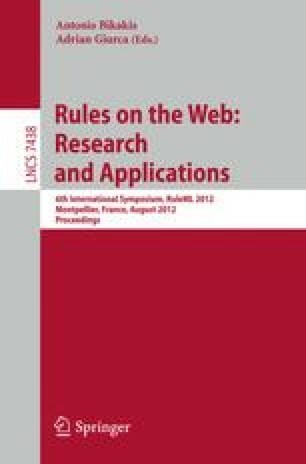 The Internet is more than a web of computers and more than a web of documents. From a pragmatic point of view it is interesting what people do with the Internet and how. Actions and events have a meaning in the context of a process or practice as enveloping a set of shared norms. The norms apply to behavior, but also to interpretation and evaluation, and can be represented and implemented using rule-based systems.